Comment: What sort of person asks their dad for blood so they can cheat in a bike race? Anyone who follows the news or their Twitter feed will know the answer to the headline: Michael Rasmussen. The Danish former professional who was ejected from the 2007 Tour de France for lying about his whereabouts before the race to dope testers is the latest to write about his experiences as a fully paid-up, fully drugged-up professional cyclist. These past dopers appear to be engaged in a war of sordidness. With each new book comes a new level of depravity, they seem to be revelling in it. 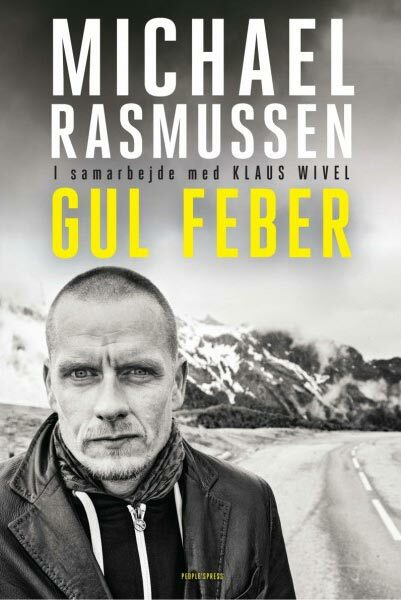 Rasmussen’ says of his book, Gul Feber (translation: Yellow Fever) published in his native Denmark on Monday, that he has actually held back on some of the details that he has now passed on to anti-doping authorities as there wasn’t enough room between the covers. You can only imagine what he missed out, because his pursuit of cheating seems to go beyond that revealed even by Tyler Hamilton in his book The Secret Race, and certainly a different league than David Millar’s now comparatively tame Racing Through the Dark. The use of the word medicine may have an altered emphasis in translation from Danish, but it underlines that these drugs and techniques employed for wholescale cheating were devised for the greater good of humanity, not for a skinny man on a bike to gain glory and cash. In this context, it seems even more distasteful that the book is named after a disease that kills thousands every year. In any case, Finn’s blood was not compatible with his son’s and the transfusion from this particular source thankfully never took place. But synthetic haemoglobin created for use in treating sick animals was deemed okay by a man whose moral compass had long lost its magnetism. Another revealing insight into Rasmussen’s mindset is that he considered suicide after be expelled from the 2007 Tour. He was apparently close to climbing into the driver’s seat of a team car and deliberately ramming an on-coming lorry. Suicide comes from overwhelming desperation – he had done everything, literally everything, to realise his dream of winning the Tour de France and yet it had all failed. Thankfully, again, this act never took place. “I was just a shirt, not a human” said Rasmussen of his treatment during that period. That shirt was, presumably, the Tour’s yellow jersey which should be a symbol of pride. But now Rasmussen, and his Rabobank team which he says were 100 per cent aware of his doping and even assisted it, have added another layer of tarnish to cycling’s tattered reputation. What sort of person asks their dad for blood so they can cheat in a bike race? One that is self-possessed, has an all-consuming obsession and will stop at nothing to win. Some may say those are the qualities of a sporting champion, but a true champion will never overstep the line. Rasmussen says in his book that he hopes that 2013 Tour winner Chris Froome is clean, and states “if he is, he’s the strongest rider ever to have set foot on this planet”. Surely that’s what the Tour de France winner should be.